This book provides new insights into a period of fundamental change in Israel and the Middle East. 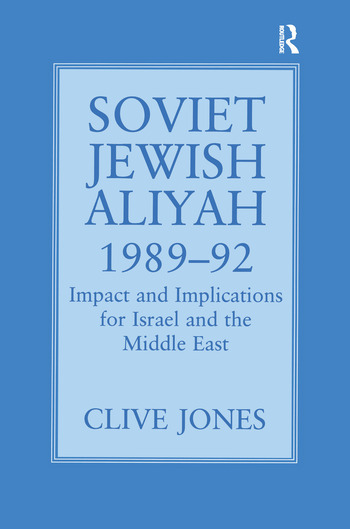 It explains how the Israeli government failed to effectively handle the integration of new emigres from the Soviet Union, and how it alienated traditional Likud supporters among Oriental Jews in Israel. Clive Jones's argument is that, by placing its ideological commitment to the retention of the West Bank above other priorities, the Likud leadership made itself beholden to the United States for financial assistance which was then denied. The resulting fundamental change in the composition and orientation of the Israeli political leadership has had a major influence on the course of the Arab-Israeli peace process. "...arguably the best study of this critical period."